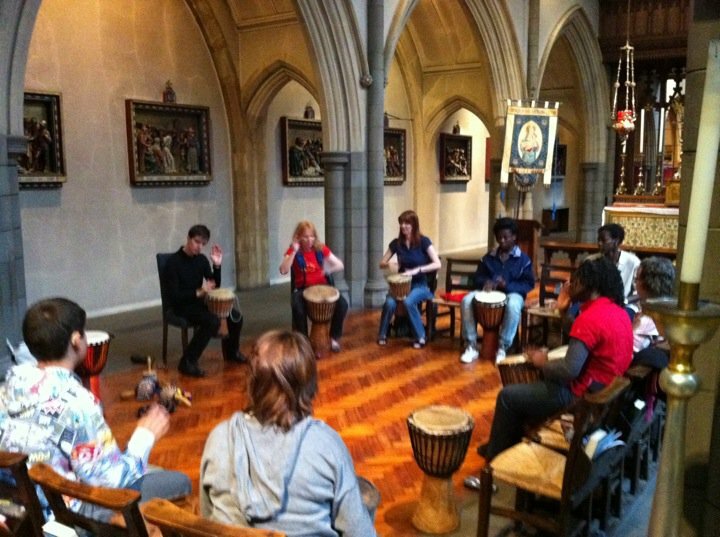 Saturday 7th May….. we had a workshop about using DRUMS in worship, led by the PSALM DRUMMERS. It was BRILLIANT!! We all used drums and percussion instruments. Michelle and Dan from Psalm Drummers showed us different ways to beat out rhythms. We tried two different sets of rythms and had a time to pray and praise God through using the drums. Now I want to get some drums for us to use in Church! Holy Week – the finale!